Gili Tangkong is a small island located in Sekotong district West Lombok, NTB. Gili Tangkong offers a pleasant tourist experience because not many tourists visit Gili Tangkong, The sand on the beach is pure white and has clear water which make anyone who saw want to throw themselves. The panorama around Gili is also fascinating with the blue sky stretches along your eyes see. 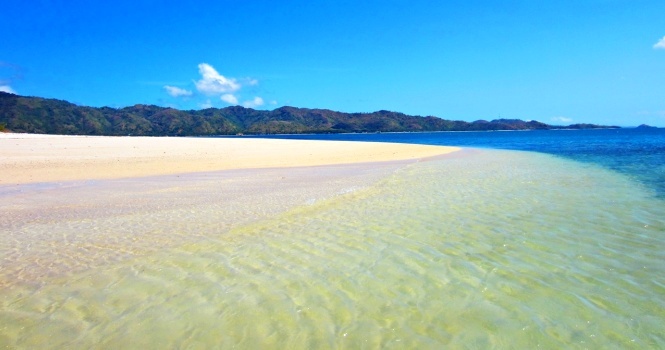 Gili Tangkong just have an area about â��28 acres and also has a wealth of amazing sea. The sea waters are still very awake allows a variety of marine life can live and thrive here. 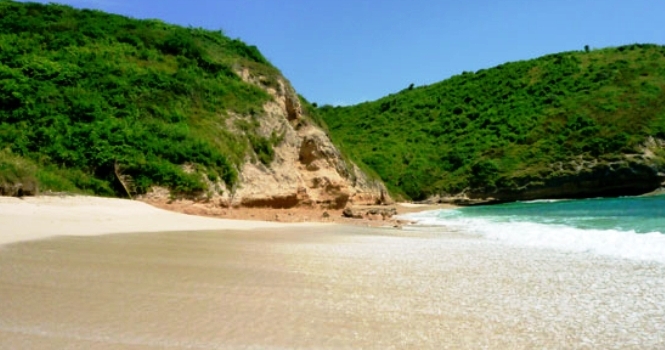 Gili Tangkong located is between Gili Sudak and Gili Nanggu with a distance of about 70 km from the city of Mataram. To reach this island you can start from Tawun Pier in Sekotong. From this port we headed to Gili Tangkong by boat. The crossing from Sekotong into Gili Tangkong is not require a long time. Gili Tangkong was very charm it makes some travel agency providing travel packages to 4 dyke which are adjacent to each other at the same time, Gili Nanggu, Gili Sudak, Gili Kedis and Gili Tangkong itself. If you visit this island from Gili Nanggu, Gili Tangkong is not too far away. It only takes about 5-10 minutes once crossings. Compared Gili Nanggu, Gili Tangkong is much more quiet and little visitors. Here there is a dining area with a variety of menu options, plus a slightly yellowish sand colored. Most appropriate activity to fill the silence in Gili Tangkong is snorkeling to see the beautiful view of underwater. Gili Tangkong scenery overall is very charming. Very beautiful landscape. If there are bright, blue sky adds to the beauty of the island.